He is passionate about food, traveling, language, and literature. He encourages his students to become well-balanced people as well as reflective, independent learners. 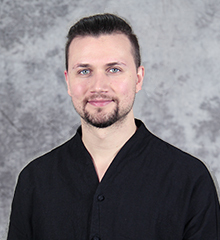 William has taught English and/or French in Canada, France, South Korea, and China. This year is his second at Léman. He did his postsecondary studies to the University of New Brunswick, Canada, where he obtained BA with a double major in English Literature and Francophone Literature & Culture. In his teaching degree from the same university, he specialized in English and French. He has a certificate for teaching English as a foreign language and another for French as a foreign language. He is trained in the IB’s Diploma Programme and Middle Year Programme.